Finally, quality sushi arrives in St. Louis. I’ll dedicate a full post to Nippon Tei and Ramen Tei’s revival in the near future, but if you’re somehow unaware: Nick Bognar, the son of Nippon Tei’s owners, returned from some time working outside of St. Louis, namely at the sushi powerhouse Uchiko in Austin, to let everyone know that it is possible to get great sushi in St. Louis. 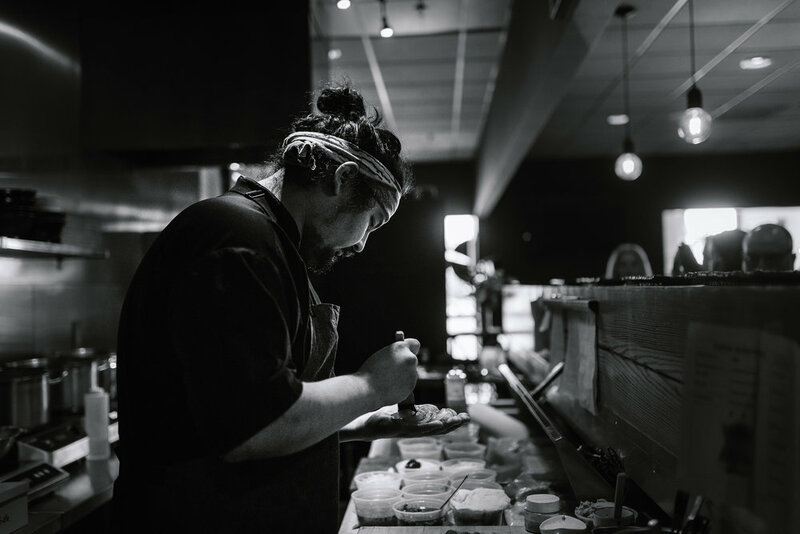 erRecently, Nick debuted his first omakase dinner—basically ‘chef’s choice’—at Ramen Tei’s 8-person bar. I managed to wrangle a seat at one of the two seatings, mostly thanks to my superior dishwashing abilities. I’ve done a handful of omakases around the world, including one at the way-too-sterile-but-Michelin-starred Shinji by Kanesaka in Singapore. Almost every one I’ve eaten has been almost eerily quiet, almost to the point of it being awkward. I can only stare at a sushi master slicing fish for so long. 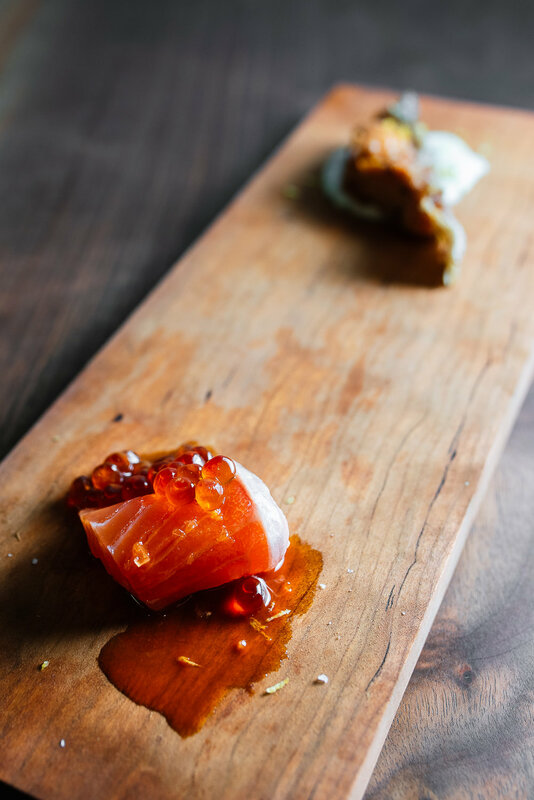 Luckily, Nick’s version of the omakase matched his personality: fun, bold, and, most importantly, not strictly Japanese. 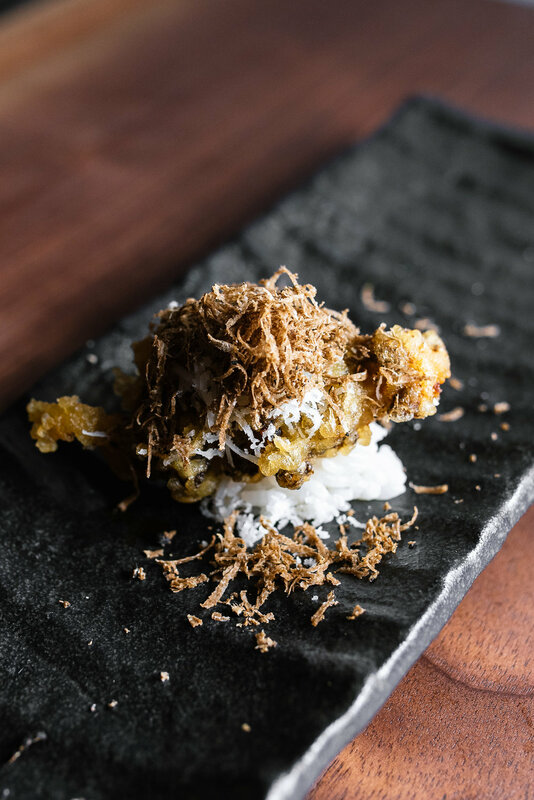 Bognar’s mom is Thai, and he wove Southeast Asian flavors and techniques throughout. More modern omakases are popping up around the globe, but in a traditional Japanese one like Shinji, you’re just getting the best possible fish with the best sushi rice, and that’s about it. It has its place, but honestly, it can be a boring meal (for a hefty sum) .The hamachi crudo with naam pla, Thai kosho, and candied garlic was the opposite of boring and easily the dish of the night—a night that included A5 Wagyu, two types of uni, and otoro—with a level of complexity that you don’t often see with sashimi. This should become a permanent fixture on the Nippon Tei menu. If it’s not, feel free to harass Nick. Nick will be hosting guest sushi chef David Yoshitomo of Omaha, Nebraska on October 22nd, and tickets are available for it at https://www.exploretock.com/yoshitomo, then Uchiko’s head sushi chef, Yoni Lang, in November (TBD). You can see the full omakase tasting below.